You need heat to keep yourself warm in the frigid weather. To keep your home warm, you do various things like make use of the wood-burning stove, collect forest woods for burning and on power heaters. You require fuel for burning the wood. The old form of heat is kerosene heaters that are still in practice. But nowadays propane heaters are also gaining fame due to the benefits they deliver. Choosing one from them is somewhat a difficult task, especially when you are looking for a good garage heater. 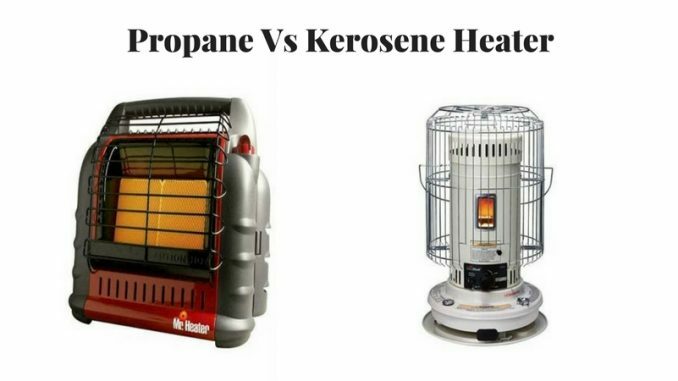 I would like to draw the comparison between propane and kerosene heaters. You can choose any one of the heaters which suit your requirements for your garage or home or office. Let’s discuss in detail to get the clear picture of both types of heaters. Heat Quality- The term British Thermal Units (BTUs) are used to measure heat. Kerosene produces 135,000 BTU per gallon while Propane provides 91,800 BTU in a gallon of fuel. Availability- It will be profitable if you look at a gas station with a kerosene pump at the near place. If you are unable to buy Kerosene pump at the nearby place, then you can research online with the help of google maps. You can purchase Propane tanks or can get on the rental basis. Propane tank rental programs are used for home improvement, grocery stores, convenient stores and much more as it is famous for gas grills. But for large scale storage, it is not perfect. If you desire for better pricing, then it will be advisable to buy propane in bulk and for that you have to arrange propane tank to store it. The cost of the fuel- The price of the fuels is influenced by the economic laws of supply and demand, so they are not constant but go up and down. The prices also differ depending on the local areas. Kerosene costs $2.25 per gallon whereas Propane costs $3.06 per gallon. If you want to know one million BTUs is produced at what price from any of the fuels, then you will observe that Kerosene enjoys an advantage that costs $25.62 and propane costs $41.91 which is more than kerosene. The rate also varies depending on the cost of electricity. Safety- You will find kerosene as one of the best fuels as it is safer to store and usage. It is less explosive and can be kept in storage for the longer time. On the other hand, the fumes of the propane are flammable. To have ensured safety, you have to store it in the large propane tank. But large propane tanks are expensive to afford and are not mobile. Kerosene lasts for the longer time and is easy to store. You will find it relatively safe to use and will enjoy its reasonable price. If you are willing to have continued heat source for your home, then kerosene is the better option. You can load up kerosene from kerosene pump. It holds high energy output. You need propane tank to store propane at large scale as it can also be served as energy backup for power outages. Propane heat efficiently and is comparatively inexpensive. You can easily find it across the country. You can choose either of the two- propane or kerosene. For some users, propane will serve better while others will go for kerosene. It will be fairly helpful if you gather profound information about both kerosene and propane fuel. I will present you the features of one of the best kerosene heaters and in the same way the information about the propane heater too. Dyna-Glo is one of the best kerosene heaters that is perfect for emergency or regular use. You will enjoy it as it is cost-effective and expedient to use. It features built-in safety. Mr.Heater is the best indoor propane heater available on the market that connects to the propane tanks. It is not only used for indoors but also serves for outdoor use. For spaces up to 225 square feet, it features up to 4,000 -9,000 BTU radiant heater. Both propane and kerosene serve as the idyllic heat sources during power outages you can check the cost at your area and can move forward with your suitable choice.